What does Far East Movement do after their track “Like a G6” hits #1 on itunes and breaks into the Billboard Hot 100 Charts? The Asian American groups heads to TV for their first national tv performance on the Lopez Tonight Show performing their single “LIke A G6“. On the show, they bust out the space helmets they’ve used on tour. FM tore up the stage in front a high energy audience. These guys never stop as they continue their push into the mainstream market. We hope these guys will make more appearances on TV. That just might happen with their new album “Free Wired” coming out on October 12, 2010. Three fingers up. Pre-order the album on amazon. BTW – Snooki on the Jersey Shore is a fan too. Check her tweet here. This entry was posted in music, tv on September 30, 2010 by Kevin Hsieh - channel APA. Follow the adventures of Soju Man as he sets out to share the great taste of soju with the world! We know SoJu is so much better than hot dogs and milk. Can Soju help Christina Lee decide between Sean Smith and Robert Ryu? You might have to help. If you like what you see, spread the word. There is a high chance that JINRO SOJU will be give sponsor the creative team behind the short to create more video. This short was done with a really low budget, so if you want to see more support it. When funded, they plan to hire Asian American actors and use music produced by the Asian American community. We hear that supporters include Ken Jeong, PK, Teddy Zee, and others. This entry was posted in comedy, commercial on September 30, 2010 by Kevin Hsieh - channel APA. 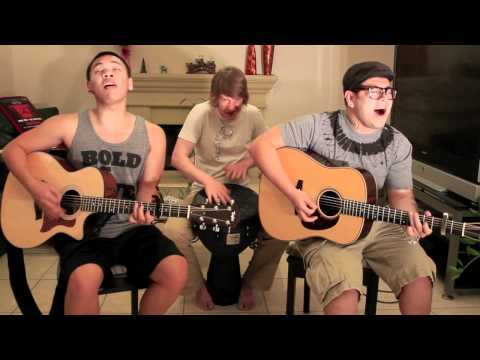 AJ Rafael and American Idol’s Andrew Garcia team up to put an acoustic spin to Dynamite by Taiyo Cruz. You might remember Andrew Garcia previously turned Paula Abdul’s song “Straight Up” acoustic. These two singers bring it on the video they created 2am. Check out the duo singing and playing the guitar. This entry was posted in music on September 30, 2010 by Kevin Hsieh - channel APA. Two years ago, Melissa Polinar started the song “Honestly.” It was on the back burner for awhile, but now the full version is released. Her original love song has a jazzy pop soul vibe to it. She’s also got a new EP coming soon! Be on the lookout for it. In the meantime, check out other tracks by Melissa Polinar including Say You’ll Stay, Try, and Back to Me. The people of College Humor put their twist on M. Night Shyamalan‘s movie career. Their short “No One Likes M. Night Shyamalan” puts M. Night Shyamalan in a “trailer” about his life. There’s more twists in this video than his movies. Does he have fans? Did he ever have fans? What’s going on here? 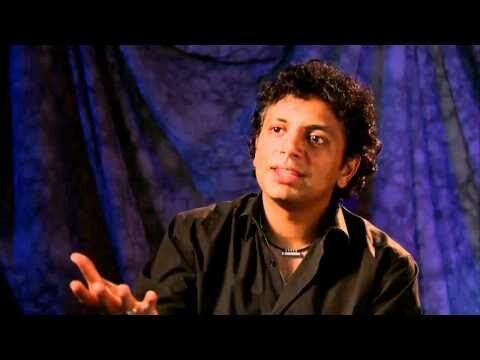 For those that don’t know, M. Night Shyamalan is behind the films for The Last Airbender, The Sixth Sense, Signs, The Happening, Lady in the Water, The Village, and Unbreakable. BTW – the role of M. Night Shyamalan in the short is played by UTK (aka Utkarsh Ambudkar). This entry was posted in comedy on September 30, 2010 by Kevin Hsieh - channel APA. Cop the track FREE here.